Kiddo Drives Home – Where Did My Brain Go? I enjoy writing about people who drink too much alcohol. I wrote Kiddo Drives Home a few months ago. I decided to add it to my blog today. 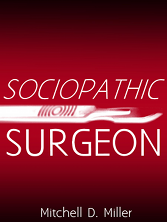 My novel, Sociopathic Surgeon, has more drinking stories. Men of all ages smile at her. Her smile cost more than I earned last year. She accentuates her figure and height with plunging necklines, tight jeans and four inch heels. She is always prepared to be photographed. Her jeans have changed. The legs were baggier seven years ago, when we met in Grand Central Station on a frigid New Year’s Eve. Those jeans were the lowest, so she could display her adorned belly. She protected her torso against Winter with a silk blouse under a mink jacket, which stopped a few inches above that belly. Her belly was covered three years ago, when we met outside her favorite bar. Salads and crunches were replaced by many free drinks, because she was living next door with the bartender. Unlike Kiddo, I do not like bars. I used to like bars. I met her Mom in a bar. We were regulars until Kiddo was born. I drank alone after Mom left with Kiddo. I quit after Mom died of liver failure. Quitting was awful. My brain needed alcohol to function. I was unable to write, solve crosswords, focus. I attended AA meetings with an enthusiastic sponsor for a couple of months. I read The Big Book and The Small Book. I quit. I avoided alcohol and drinkers for a year. Nevertheless, people drink. I moved to Kentucky, where residents collect commemorative bottles of bourbon. A few guys encouraged me to wait on a very long line, to buy a collectible Coach Cal bottle. We waited for hours. My bottle entitled me to visit a Web page for a number, to wait on a longer line, for Coach Cal to sign this magnificent bottle. I did not receive a number. I placed the bottle on a shelf. I examined it about twice a day for a week. I read the label. I looked at the seal. I wondered what it weighed. Inevitably, I wondered what it tasted like. A moment later, I wondered what my AA sponsor would say if I described the taste to him over the phone. I called someone and sold him the bottle. I forgot about drinking until I met a woman on Craig’s List. She asked for a drink as soon as she arrived to play cards. A drink? In my house? I excused myself and returned with an $18 pint of imported vodka. She drank most of it. I deleted her from my contacts after I put her in a cab. I met Linda, her frugal successor, in a grocery. I prepared for her visit with a $9 pint of domestic vodka and free trials of Hulu and Netflix. Linda finished the import and half of the domestic during three visits. I sniffed the vodka while I prepared her drinks. It was not appealing. We watched several movies together until her son convinced her to move to Colorado with him, so he could grow legal marijuana. Kiddo visited me last week. I met her outside to see her new car. I was the final stop on her vacation. She wore skinny jeans, no heels or bare midriff. Kiddo found Linda’s bottle. I pretended not to hear her open it, or smell it on her breath. I found an empty bottle in the freezer when she went to the bathroom. She did not see me cringe when she drove away. Copyright © 2013 Mitchell D. Miller. All Rights Reserved.